Chris Franklin is a meteorologist at WWL-TV in New Orleans. He joined the Pinpoint Weather team in 2016. "My love of weather and science began because I was scared to death of the weather! I dreaded dark skies, thunder in the distance, and especially seeing hurricane coordinates on the television screen." Franklin took that opportunity to learn about the weather to quell his fears. Born and raised in Metairie, Chris graduated from Brother Martin High School and earned a bachelor of science degree in meteorology from the University of South Alabama, receiving the Senior Meteorology Award for academics and involvement in the meteorology program. He also holds the AMS Television Seal of Approval. 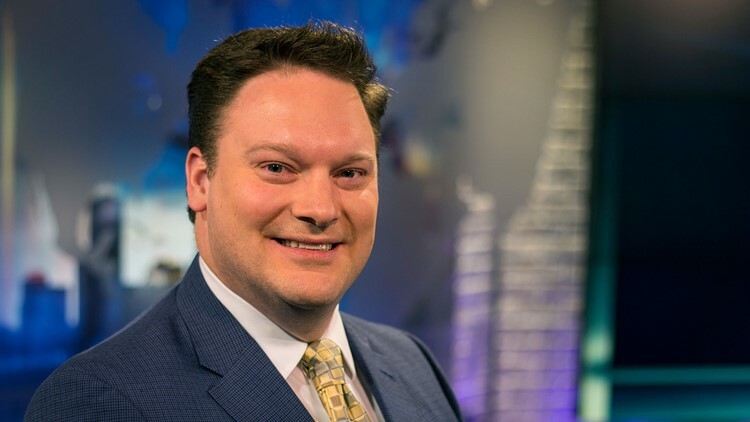 His broadcast career began in Topeka, Kansas and after a year of chasing tornadoes and driving through blizzards, he returned to New Orleans just before Hurricane Katrina struck the coast. Chris has covered some major weather events including Hurricanes Katrina, Rita, Gustav, Ike, and Isaac, as well as the Mississippi River flooding in 2011, the ice storm of 2014, and the Deepwater Horizon oil spill. He’s also interviewed several celebrities including Aerosmith's Steven Tyler and been featured on the Weather Channel and FOX News Channel. Chris brings with him over a decade of weather forecasting experience in New Orleans as well as the flavor of the local community. He has won several awards from the Press Club of New Orleans and Louisiana Association of Broadcasters. He is a frequent guest speaker and emcee at local events. Chris, his wife Amy, daughter Lucy and son Henry live in River Ridge. You can contact Chris by email at cfranklin@wwltv.com or follow him on Twitter @CJohnFranklin.